Swamp Milkweed is an excellent plant to attract Monarch butterflies....and Monarch Butterfly caterpillars find it very tasty! The scientific name for this milkweed is Asclepias incarnata. It blooms from June to August and thrives in sun to partial sun. As the name indicates, it's native habitat is "swampy". In spite of this, I have had no problem growing it in my suburban garden with clay soil and little extra watering. There is also a variety with white flowers called Asclepias incarnata alba. You can start this plant from seed, but you need to refrigerate the seeds for 1 month or plant in your garden in the fall. Also, this perennial takes a while to mature into a full grown plant. Check out tropical milkweed seeds which are easier and grow much faster from seed. 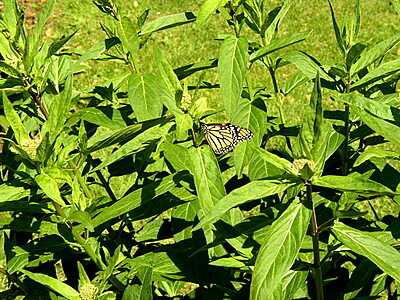 The monarchs love this plant....it is an annual in most parts of the country. 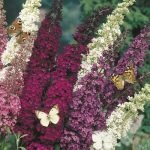 If you would like to add this valuable butterfly plant to your garden, here are seeds available for purchase. It takes a couple of years for this milkweed to become a full, mature plant. If you are in a hurry and want a mature plant sooner, a good option would be to buy plants. Check out this collection of milkweed plants to give you a variety of butterfly garden plants to attract monarchs. 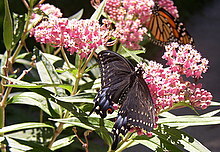 Once you plant Asclepias incarnata in your garden, you will see female Monarch butterflies fluttering above the plant and then touching down briefly on the leaves. If you inspect the underside of the leaf, you will usually find an egg. 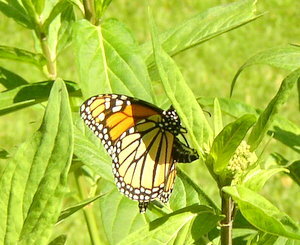 If you put several of these plants in your butterfly garden......the Monarchs will come. 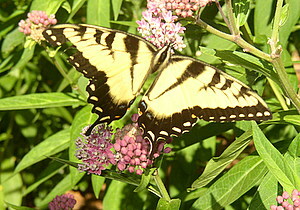 Combine these with some annual Tropical Milkweed plants and you will be in "Butterfly Heaven"!